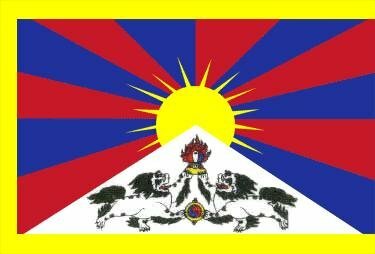 Prague, Oct 22 (CTK) - Tibet's government-in-exile "seeks genuine autonomy within China" for Tibet and it wants China's written laws to be implemented, its leader Lobsang Sangay, who is taking part in the 16th Forum 2000 international conference, established by late president Vaclav Havel, has told CTK. "We seek genuine autonomy within China and within the framework of the Chinese constitution, that is what we call middle-way policy," Sangay said. "So we don't seek independence or separation from China, and we do not challenge China's sovereignty or territorial integrity," Tibet's prime minister said. Speaking about the current situation in Tibet, Sangay said at the moment it is an occupation. He said Chinese written laws are not implemented on Tibetan territory. For example, all the Tibetans should have been under one administrative structure, yet in reality there are five administrative areas, he added. Tibet's top official has never been a Tibetan, he pointed out. Tibet's exile government has been seated in Dharamsala, India since the 1950s, after China took control of Tibet. Sangay said Tibetan people should have a fair share in the administration, economy, education, environment and other issues. He became the head of Tibet's government-in-exile last year, after the Dalai Lama gave up his political posts but retained his position of the spiritual leader. Sangay said a number of Tibetan people burnt themselves in protest against the continuing occupation and repressive politics of the Chinese government. The latest case was reported on October 21. Until now, 56 persons have burnt themselves and at least 44 of them have died, he said. Sangay said this is a sad part of Tibetan history, however, it also shows that Tibetans have still been strong seeking in searching for and aspiring for basic freedom. Many Tibetans are deeply shocked by the self-immolations as such acts are against the Buddhist teachings, which consider all life sacred. The government-in-exile calls on Tibetans not to resort to such an act. The exile government said some time ago it is ready to starts talks with China. Sangay said he believed the situation in Tibet would improve sooner or later because there were so many examples of freedom winning in the world. He mentioned the 1968 Prague Spring and the 1989 Velvet Revolution in Czechoslovakia but also the Arab Spring and the Colour Revolution, Nelson Mandela and Aung San Suu Kyi being free. "Our day will come and we will return to Tibet," he said. This is Sangay's first visit to the Czech Republic. He is participating in the Forum 2000 conference that opened on Sunday. Sangay said modern Czech history and Havel's life and ideas are a great inspiration for the Tibetans. He said Havel's death is a big loss for people in Tibet, too. He added he regretted very much that he had not had the chance of meeting Havel. Havel died last December after a long illness. He was a friend of the Tibetan Dalai Lama who often visited Prague. The Dalai Lama is to come to the Czech Republic next year again. At a press conference after meeting Czech MPs associated in the Group of the Friends of Tibet, Sangay said Monday his exile government wants to achieve freedom non-violently, like the Czechs when opposing the communist regime. Sangay told journalists the political repressions in Tibet are very intensive. There is no freedom of speech and no right to protest and hold public gatherings, he added. He said a person may be sentenced to up to ten years in prison for taking part in a public gathering in Tibet. Tibetan people also are not allowed to use their mother tongue at school, Sangay said. According to available information, Sangay does not plan to meet representatives of the Czech government during his stay in Prague. He is to talk to the members of parliament associated in the Group of the Friends of Tibet. Czech politicians recently had a dispute over the position of the Czech diplomacy on China. Prime Minister Petr Necas (Civic Democrats, ODS) indicated that support to the Dalai Lama may threaten Czech exports to China. Czech Foreign Minister Karel Schwarzenberg (TOP 09) criticised such an argument.